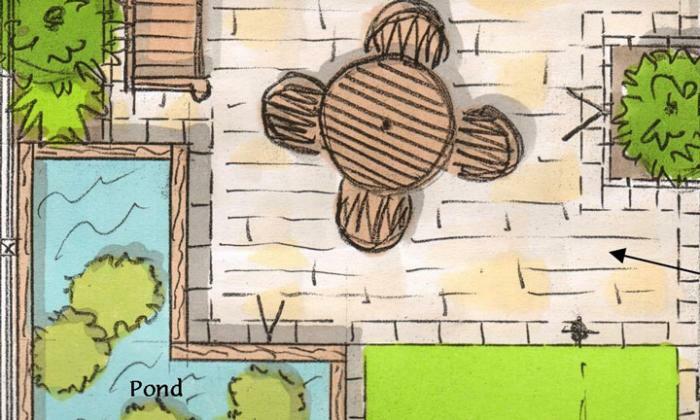 Condensed features including a fish pond for a narrow city garden. This small and narrow city garden had no privacy or useable activity space and the challenge was to fit in lots of features desired by the client with good proportions and easy maintenance. A large fish pond, good sized activity space, lawn and sufficient setting of planting, was the brief with a fairly tight budget. The overall design was done to the client’s budget and achieved much more than the client expected with attractive focal point features from key views. My experience allowed me to not only design to budget but to create a coherent well proportioned layout with durable and attractive materials and details for a long lasting garden that is easy to maintain.